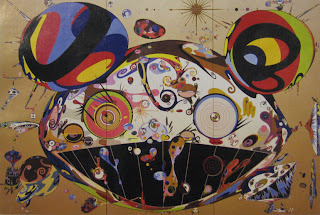 Featuring more than 90 works in various media spanning the early 1990's to the present—including Takashi Murakami's first animated film, as well as iconic and new paintings and sculptures—this international traveling retrospective is an unprecedented opportunity to survey the depth and breadth of the artist's entire career. October 29, 2007 - February 11, 2008. Hope you can make it.